Supercrawl is a free annual outdoor art and music festival in downtown Hamilton, and the Supercrawl Art Committee is excited to release our Call for Artists for 2019. Showcasing great music alongside an entire street of cultural experiences — a diverse and dynamic lineup of music, art, fashion, performance, talks, crafts, food and fun — the festival has captured the imagination of culture lovers far beyond the city. Projects by local, regional, national and international artists are selected based on artistic merit, originality, and ability to integrate within the festival’s scale and energy. The goal of the Supercrawl Art Committee is to select contemporary visual art pieces that will enhance the overall Supercrawl experience. The Visual Art Committee invites artists working in a wide range of creative disciplines to propose works for installation as part next year’s event, taking place September 13-15, 2019. Proposals must consider public safety and visibility, and the piece must be able to be safely performed or executed outdoors with large crowds present at all hours and weather conditions, and will remain impactful during both the daytime and night-time hours of the festival. Artists working collaboratively is permitted. (Collaborative implies that more than one artist has worked on the piece being submitted.) Please choose ONE artist’s contact information for communication purposes. Work must be original, current and completed within the past ten (10) years. Artists are responsible for ensuring that there are no copyright issues or other legal issues attached to images used or the subjects of their commission. Each project selected will be allocated an artist’s fee of $500 (in line with CARFAC fee schedules) in addition to the project proposal’s material and production budget. Costs such as travel and accommodation, where necessary, may be covered and will be addressed on an individual basis. Production assistance may also be available. Supercrawl will also be assigning significant resources to promotion of the event and selected artists leading up to the festival, and during the event. The festival will provide schedule signage, produce posters and handbills, and include programming details both in printed materials and on the Supercrawl website. Audiences are estimated at approximately 50,000 to 75,000 people over the duration of the performance day. 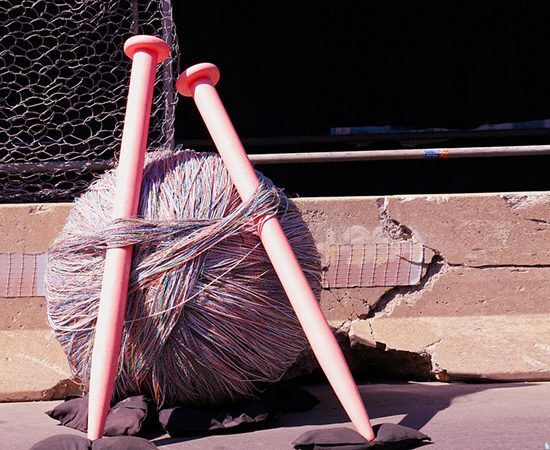 Works will be featured throughout the festival weekend (September 13-15, 2019) and installed in Supercrawl’s Art Zone located along James Street North between Cannon Street and Robert Street. Practical explanation of the work (i.e. : Description of proposed project, scale, materials, methods). Provide an installation plan including time required and any technical/logistical requirements. Image List – indicating title, year, media & dimensions/duration of works. The Supercrawl Art Committee is open to creatively diverse work that has large-scale visual impact and responds to the streetscape of the event. Artists and their work will be identified and publicized as official Supercrawl curatorial selections during the event, on the Supercrawl website and in select media releases. Artists will be required to sign a contract with Supercrawl Productions Inc. Deadline for submissions: Friday, February 22, 2019 at 11:00pm ET. Late submissions will not be considered. Successful applicants will be contacted in March 2019. Artists are encouraged to contact the Committee to receive clarification and/or additional information as needed to develop proposals. A driven team of Hamilton artists and community builders founded Supercrawl in 2009 with a view to showcasing great music alongside an entire street of cultural experiences — a diverse and dynamic lineup of music, art, fashion, performance, talks, crafts, food and fun (local, regional national and international). Since its inception, Supercrawl has captured the imagination of culture lovers far beyond the city, drawing visitors from across Canada and around the world. The event has gone from a one-day celebration on a single block to a weekend-long experience encompassing almost two kilometres of downtown streets, with attendance growing steadily from 3,000 to 250,000 in that time. In 2018, Supercrawl expanded the festival’s physical footprint (covering 18 city blocks) as well as its programming and production ambitions, and will build upon that foundation yet again in 2019. Supercrawl was shortlisted for a 2017 Canadian Tourism Award for Event of the Year, received the 2015 Ontario Tourism Award of Excellence for Tourism Event of the Year, and has been recognized as one of Festival and Events Ontario’s Top 100 Festivals/Events (2015-2018).